A bankruptcy will stop repossessions dead in their tracks. After someone defaults on a car loan, the car finance company can take the car back without court order. That means someone who is in financial trouble could be at work, the grocery store, visiting a sick relative in the hospital or picking up their child from day care and suddenly discover that their car is gone. 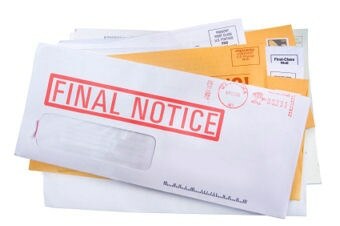 A bankruptcy filing immediately eliminates that worry. Often a Chapter 7 bankruptcy will improve cash flow, making it possible to catch up on car payments. However, in a Chapter 7, the debtor must get caught up fairly quickly. The car company can get permission to repossess the car within a month of the case being filed. It usually takes much longer than a month, though. A Chapter 13 bankruptcy stops the repossession and provides a way to get caught up on the car loan over three to five years. I could lower the monthly payment by spreading them out or even lower the overall amount paid on the loan through a “cramdown.” The cramdown is when a loan is paid in the amount of the car’s value only. Any amount over the value of the car can be wiped out. The cramdown is only available for cars purchased over 910 days before filing, for refinanced loans or loans when a car with “negative equity” is traded in for a new car loan. If you are making payments on a purchase of furniture, electronics or a major household appliance, the finance company probably has a lien on the property that secures payments. That means that, technically, the finance company can force you to return the property if you do not pay for it. The legal process for forcing you to return the item is expensive. The finance company can not just come into your house and take the property in the same way a car finance company just takes the car off the street. In most situations, the finance company would rather sue you for the money and garnish your pay check or bank account.